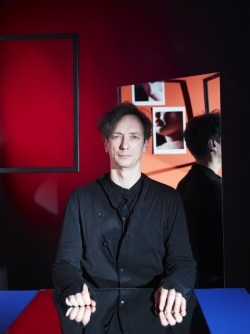 The story behind Volker Bertelmann – known best these days as HAUSCHKA – is not necessarily what you’d expect. Although he is one of the most recognisable 21st Century proponents of what is known as prepared piano – one whose sound is altered by the insertion of alien objects between or upon its strings, hammers and dampers – he was barely aware of the champions of such a practise when he first began his experiments. Even John Cage was a largely unfamiliar name that fateful day when he sat in the studio of his friend Adam Fuest and, frustrated by the sounds he was making, starting placing random objects into the instrument. Always unpredictable, HAUSCHKA continues to offer only one certainty: that the next step he takes will no doubt be as unexpected as the direction from which he has come.